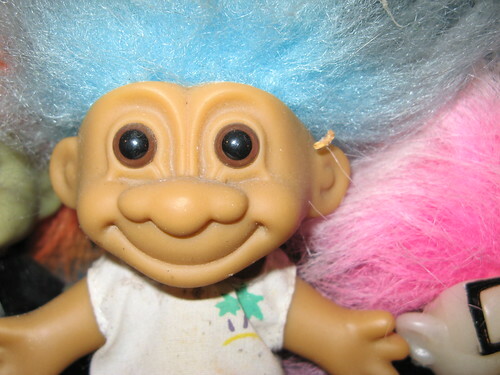 Is It Ever Right To Use Troll Content To Increase Social Media Sharing? You are here: Home / Is It Ever Right To Use Troll Content To Increase Social Media Sharing? Almost as soon as internet chat rooms, social media sites and forums arrived, the darker side of the internet made itself known. This gave rise to what is now known as trolling, the process of leaving provocative, or controversial statements on chat threads, with the express aim of derailing conversations and getting the thread to go off topic, or even to inflame the tempers of other users and to incite a flood of angry replies. As with many things, some trolls take it too far, leaving threatening messages, or making cruel statements such as that left by troll Sean Duffy on a page set up to commemorate the life of Natasha McBryde who was killed on a railway track. He was imprisoned for 18 weeks after he left several heartless comments, such as ‘I fell asleep on the track lolz.’ causing more grief and unnecessary suffering to her family. The authorities are working with representatives from the large internet service providers and social networking management to try to ease out the ability to remain anonymous when posting on websites. There are ways that even anonymous users can be tracked down, but the general feeling is that if someone is posting under their own real name, perhaps even with a photograph of themselves attached, they will become more aware that they are visible and traceable; not a ghostlike figure that can vanish into the ether on a whim. When trolls feel invisible they often feel that they can get away with unacceptable behaviour, because they are safe at home, tucked up in bed, and they feel invulnerable and untouchable. Can Trolling Ever Be a Good Thing? However, it is a fact that there is no debate without opposing views and some clever marketers and bloggers have been using the art of trolling to make a loud, declarative statement that is completely controversial on threads, always ensuring that they leave clear links to their own website, social media page or blog. This is where trolling can, perhaps, be seen as useful; if everyone agreed all the time there would be little scope for lively discussion and energetic verbal parrying. For example ‘The sky is blue.’ is an inoffensive, usually true statement, which will get little response other than ‘Yes, and?’ or ‘I agree.’ – whereas making a bold and outrageous statement like ‘I have always thought the sky was more green than blue, it just looks blue because of the ocean reflecting up at it, check out my theory on xyz.com!’ is sure to get a huge response, from people who think you are rather daft, to earnest scientists who will explain the truth about the colour of the sky, to those who realise that your statement was all in fun! A few cynics might even tumble to your ploy and ‘out’ you, giving you an excellent chance to put in a strong plug for your site again! However, for the above method to properly be considered ‘trolling’ it would require actually angering the target audience in the hope of attracting traffic to your blog or website, and this practise is beginning to lose whatever marginal entertainment value it ever had. Blogs and web hosts are cracking down on trolls, quickly deleting comments and links and requiring posters to adhere to clearly laid out terms and conditions of use, as well as providing real names and contact information. If this is a policy that you currently use to drive traffic to your site, or even if you are thinking about doing it, consider this: Information stays on the Internet FOREVER! In a world where a home video can be viewed by millions of people all over the world in mere days, it is highly advisable that you keep your Internet footprint clean and something that you can be proud of. Add to that, the fact that scientists have now found that trolling makes you stupid, and suddenly it does not seem to be such a clever idea, after all! To summarise; while the thought of attracting a lot of traffic to your site in a very short time might be a tempting prospect this process must be used only with caution, and perhaps it would be better to present a humorous and caring approach rather than a spiteful and small-minded one. Rebbeca Adams is a PR Executive at SEO Brighton one of the south coasts leading search companies. She enjoys vintage clothing, shopping in the North Laine and cycling along the promenade in her spare time.